Calathes, second left, made history with his triple double figure on Thursday. 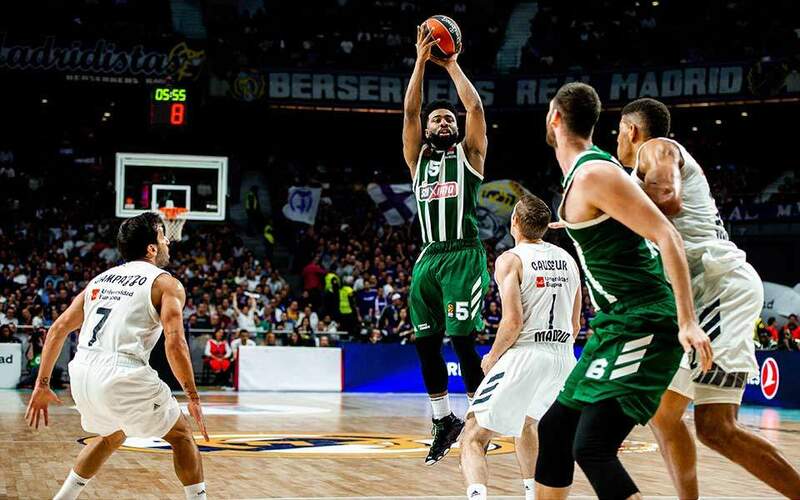 The Zalgiris Kaunas 93-86 victory at Real Madrid on Thursday meant that Olympiakos will not make the top eight of the table at the end of the regular season on Friday even if it beats Darussafaka in Piraeus. The Greens, on the other hand, rallied to an amazing 8-2 record in the last third of the regular season and unexpectedly climbed up to sixth on the table even though two months earlier they languished between the 11th and 12th place. 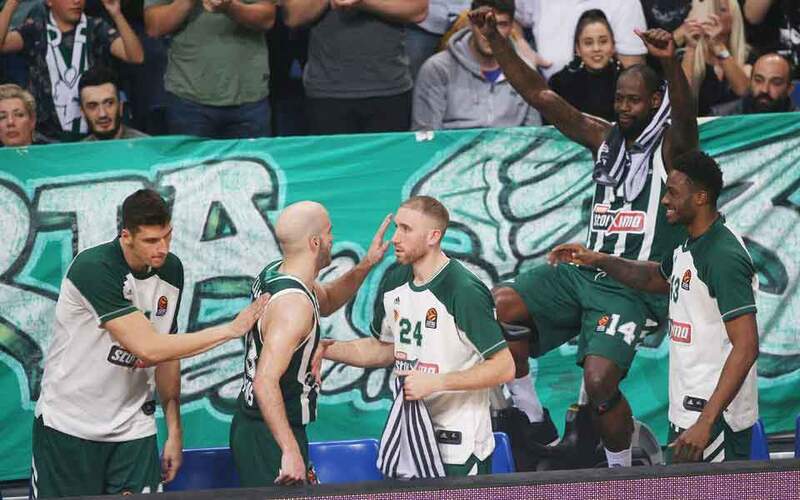 Confirmation of their advance to the play-offs came on Thursday at the Olympic Sports Center with an emphatic 87-67 win over Buducnost that will be remembered for the triple double figure by Nick Calathes. 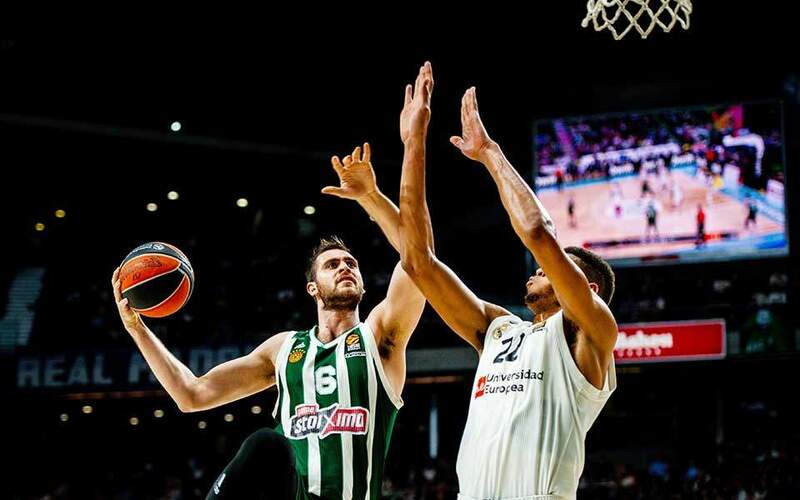 The Panathinaikos captain made 11 points, 12 rebounds plus a career-high 18 assists, to become only the second player in the entire Euroleague history after Nikola Vujcic to record a triple double figure, and overshadow the 23 points scored by James Gist on the night. Buducnost challenged Panathinaikos for the first 15 minutes, but they trailed 32-30 the Greens pulled away for a 49-36 half-time score and never looked back. This result as well as Baskonia’s loss at CSKA Moscow meant the Greens climbed even higher to sixth, with 16 wins and 14 losses in the regular season. Coach Rick Pitino deserves full credit for turning things around for Panathinakos after what seemed to be a lost year in Europe for the Greek champion. 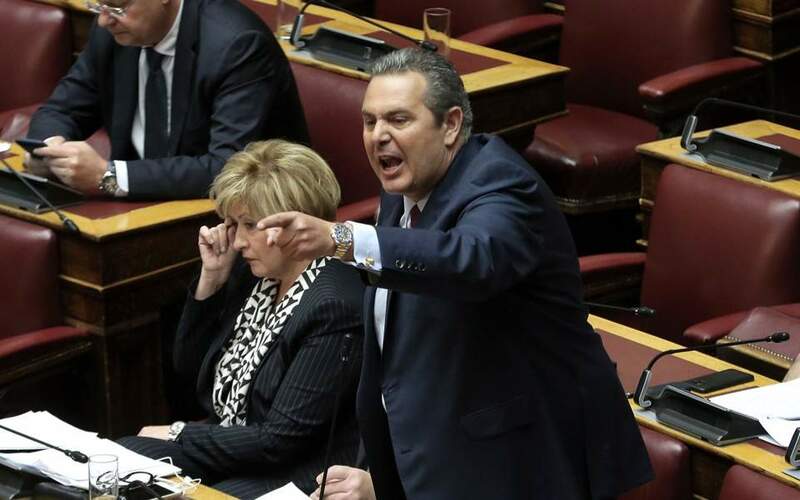 After the match on Thursday he tweeted: “So proud of the guys from Panathinaikos. Great assistant coaches and players that pulled off something special. Thank you fans. You have been incredible.” He stated on camera that when he arrived to replace Xavi Pascual he had to change the player’s culture. 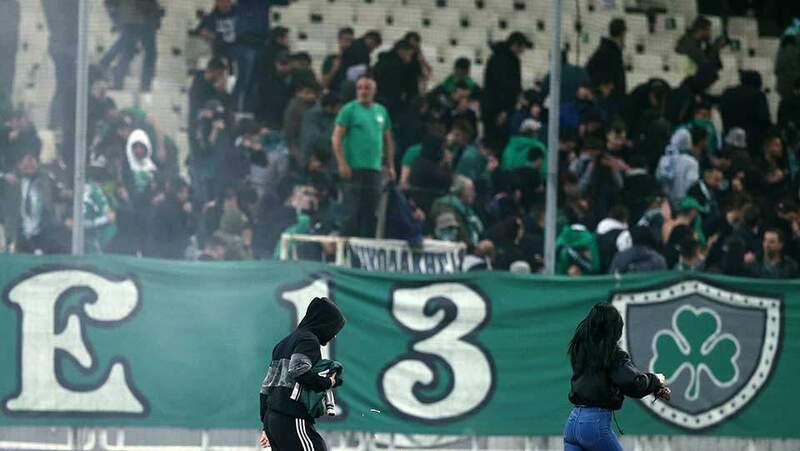 NCAA legend Pitino even hinted he may stay on after the summer in Greece for Panathinaikos, but for now he will have to prepare the team for the best-of-five play-offs against Real that start on April 16/17 in Madrid.